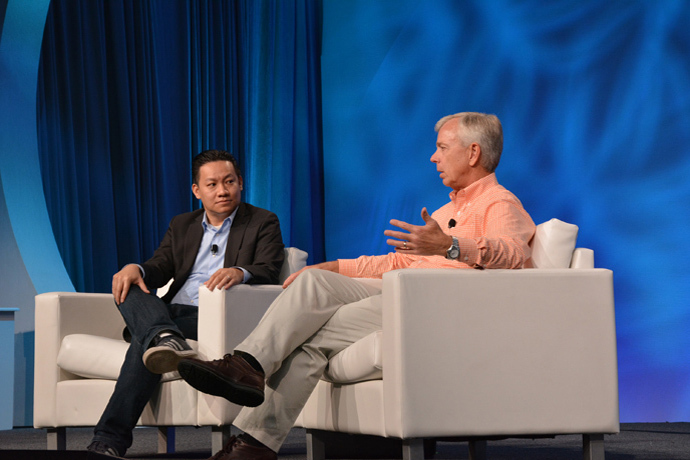 The 17th annual Intel Capital Global Summit convenes nearly 1,000 entrepreneurs, investors and business luminaries to help shape the future of technology. More than $38 million of investments announced in 12 startups across a range of innovative technologies, including big data analytics, autonomous machines and AR/VR. Distinguished speakers include Salesforce CEO Marc Benioff, Workday CEO Aneel Bhusri, PayPal Chairman John Donahoe, Intel CEO Brian Krzanich, Verizon CEO Lowell McAdam, former U.S. Senator Bill Bradley. 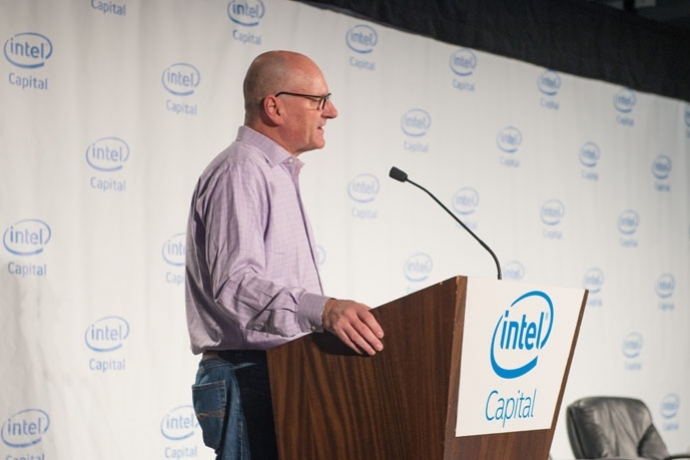 SAN DIEGO, Oct. 24, 2016 – Intel Capital, Intel Corporation’s global investment organization, announced today at the Intel Capital Global Summit new investments totaling more than $38 million in 12 technology startups. The companies joining Intel Capital’s portfolio are driving innovation to enhance many facets of our lives – including IoT solutions for seniors and disabled individuals, advanced audio for 360-degree virtual reality systems, and human-like vision systems for connected cars. 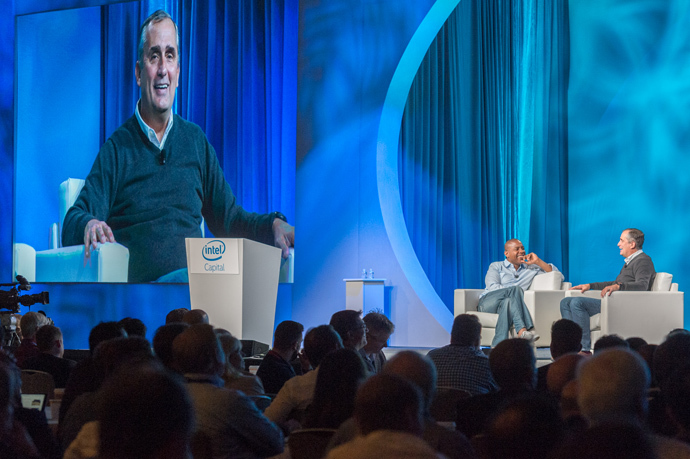 The 17th annual Intel Capital Global Summit, hosted this week in San Diego, features a distinguished lineup of speakers that includes: Marc Benioff, chairman and CEO of Salesforce.com; Aneel Bhusri, co-founder and CEO of Workday; John Donahoe, chairman of the board at PayPal; Brian Krzanich, CEO of Intel; Lowell McAdam, chairman and CEO of Verizon; and Bill Bradley, former U.S. senator, Olympian and NBA Hall of Famer. 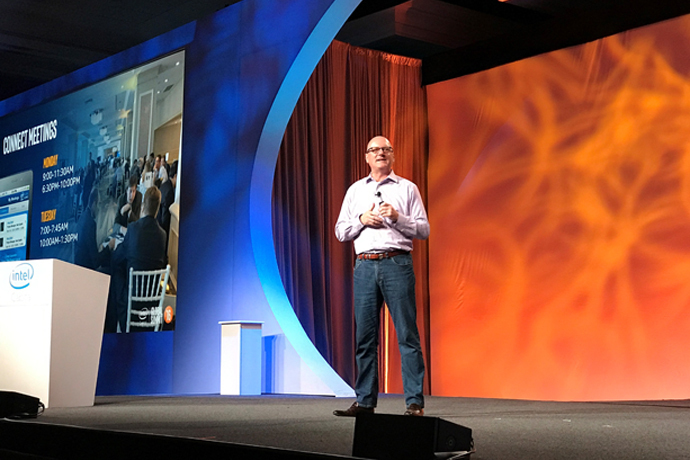 The event convenes nearly 1,000 entrepreneurs, investors and business luminaries for three days of company-building, inspiration and learning from the minds behind today’s most cutting-edge technology. Chronocam* (Paris, France) develops innovative computer vision sensors and systems for a variety of applications in autonomous navigation and connected objects. Formed by the leading pioneers in the field of neuromorphic vision, the company wants to establish a new computer vision standard by unlocking a paradigm shift in vision sensing and processing inspired by the human eye. Embodied* (Pasadena, California, U.S.), co-founded by the former CTO of iRobot*, maker of Roomba*, and a world-renowned professor of robotics and neuroscience from the University of Southern California, is developing state-of-the-art products that aim to revolutionize robotics. Leveraging major recent advances in machine perception, cognition and learning, its systems develop affordable personal robots that improve human wellness and quality of life. Perrone Robotics* (Charlottesville, Virginia, U.S.) provides software and solutions that make it easier to build robust mobile autonomous robotics applications. Its technology helps researchers and engineers develop their partial and fully autonomous vehicle and robotics applications. Eazytec*1 (Jiangsu, China) is a smart city developer and service provider with proprietary core firmware (BIOS) technology. Its headquarters and research park, located in Yixing City, Jiangsu Province, have been identified as a national science and technology business incubator in China. The company specializes in application software and firmware development, system integration, and data center services. Grand Chip Microelectronics* (aka Kangxi Communication Technologies) (Shanghai, China) is committed to delivering high-performance, high-linearity and highly integrated Wi-Fi front-end devices for WLAN infrastructure, wireless connectivity on cellular platforms and the Internet of Things. Paxata* (Redwood City, California, U.S.) is the leading enterprise-grade, self-service business information platform that serves the needs of both the business consumer and IT. With Paxata, business analysts, data engineers and data scientists are able to instantaneously transform raw data to information ready for business analysis with accuracy and efficiency. There is no need for code or sampling as Paxata leverages a patent-pending, machine learning, natural language processing and semantic text algorithm technology built on a distributed, in-memory columnar pipeline architecture for massive scale. StealthMine* (Sunnyvale, California, U.S.) enables enterprise applications to run on encrypted data. The technology provides full data insulation against server, network, storage, database attacks and insider compromises. CubeWorks* (Ann Arbor, Michigan, U.S.) delivers the next generation in millimeter-scale computing with its Cubisens* platform, which enables the first truly autonomous wireless sensing platform measuring less than a millimeter. Cubisens systems are able to sense and process their environment, wirelessly transmit the results, or store them for later usage. Kinduct* (Halifax, Canada) provides cloud-based data and analytics software for sport organizations, military and public safety units, physical medicine clinics, and health and wellness institutions. With a client list that includes teams in all five major sports leagues in North America, the Kinduct platform is changing the way information shapes human performance by allowing organizations to derive insights from multiple sources of data. K4Connect* (Raleigh, North Carolina, U.S.) creates solutions that serve older adults and individuals living with disabilities by integrating the latest smart technologies and applications into a single responsive system. Its first solution, K4Community*, is specifically designed for residents of senior living communities, creating smarter and healthier living environments, as well as fostering family and community engagement, while also providing the operators with the insights and analytics needed to offer world-class care and hospitality. Dysonics* (San Francisco, California, U.S.) leverages more than 20 years of academic research to deliver patented technologies that yield lifelike 360-degree sound experiences over headphones. Dysonics creates immersive audio software and hardware products for capture, creation and playback of next-generation content including virtual reality. InContext Solutions* (Chicago, Illinois, U.S.) develops scalable, cloud-based virtual reality solutions for retail that provide important insights for manufacturers and retailers. The company’s enterprise SaaS VR platform and services help brands visualize new concepts and better understand shopper behavior in a rapidly evolving retail space – more efficiently and profitably. A number of these investments were made under the auspices of Intel Capital’s new Sports and Health focus, which uses a broad, cross-disciplinary approach that spans multiple investing teams. The new concentration reflects recent comments by Intel CEO Brian Krzanich that “digitization is the biggest change in sports in decades.” With Intel’s high-performance computing power, every aspect of sports and wellness can now be captured as a piece of data, measured and broadcast nearly in real time – fueling the continued buildout of the cloud. In addition, Brooks announced Monday the formation of the new Intel Sports Group, which is focused on developing partnerships with major sports leagues to leverage Intel technologies to create new immersive experiences for fans. Brooks will oversee the business unit and expects it will work closely with Intel Capital’s Sports and Health effort. Altia Systems*, creator of the PanaCast* camera system, demonstrated the PanaCast 3D Virtual Reality kit, which delivers 4K 3D videos with real-time, in-device stitching. Braigo Labs*, founded by Shubham Banerjee, one of the world’s youngest entrepreneurs, demonstrated a new iOS smartphone app for the visually impaired that features image recognition-to-text capabilities and converts text to speech. Keyssa* demonstrated a high-speed contactless connectivity solution for the 2-in-1 detachable market segment. It delivers the high-speed I/O of a PC while preserving an ultra-thin form factor. NetSpeed Systems* demonstrated a machine learning-based interconnect platform for streamlining system-on-chip (SoC) architectures and designs. 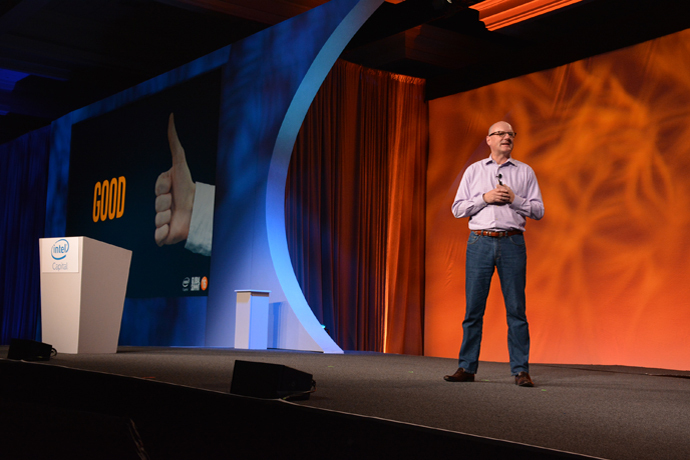 Additionally, NetSpeed Systems CEO Sundari Mitra announced the completion of a $10 million Series C investment round led by Intel Capital. The Intel Capital Global Summit is the venture industry’s pre-eminent technology networking event. 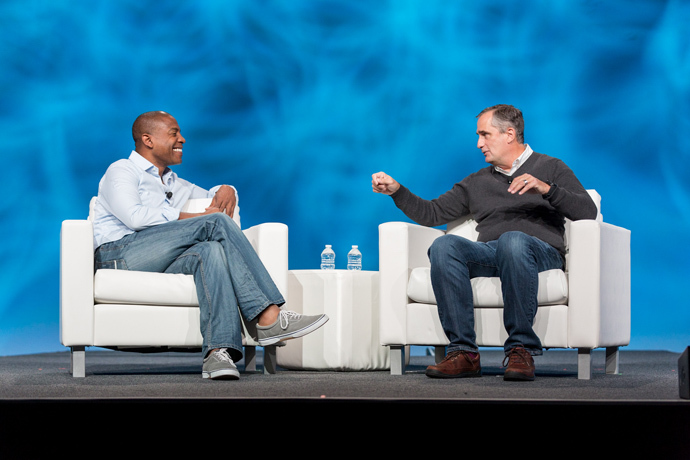 The 2016 event brings together nearly 1,000 attendees from Intel Capital portfolio companies, tech industry thought leaders and Intel customers and partners from around the world. The Intel Capital Global Summit 2016 is sponsored by Accenture, KPMG, Crystal & Company, the government of Canada, Kingsley Gate, NASDAQ, Needham & Company, Silicon Valley Bank and TriNet. 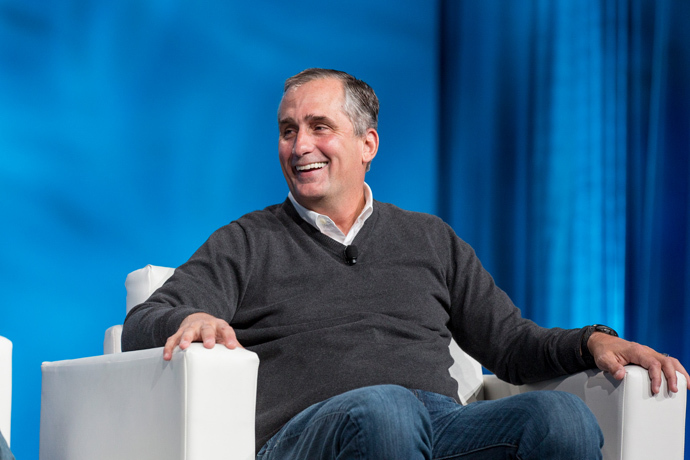 Intel Capital, Intel’s strategic investment and M&A organization, backs innovative startups targeting computing and smart devices, cloud, datacenter, security, the Internet of Things, wearable and robotic technologies and semiconductor manufacturing. Since 1991, Intel Capital has invested more than US$11.8 billion in 1,478 companies worldwide, and 617 portfolio companies have gone public or been acquired. Through its business development programs, Intel Capital curates thousands of introductions each year between its portfolio executives and Intel’s customers and partners in the Global 2000. For more information on what makes Intel Capital one of the world’s most powerful venture capital firms, visit www.intelcapital.com or follow @intelcapital. 1Intel Capital has agreed to invest, subject to receipt of regulatory approvals.